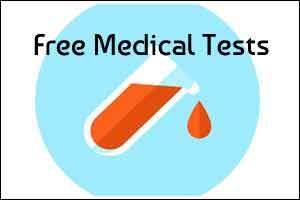 Chandigarh: Haryana Health Minister Anil Vij said that 35 medical tests would be conducted free of cost under the first-of-its-kind medical scheme to be soon launched in the state. Vij, who was presiding over a review meeting of the Health department, said the scheme would generate detailed reports of various diseases afflicting the people living in different parts of the state, an official release quoting him said. The entire state would be divided into four to five zones and different agencies would be directed to conduct tests and put the record online. A hard copy of the test report would also be given to the person concerned so that he can use it for getting a proper treatment, it said. Complete data would be made available on mobile app of the department so that people can use this information, it added. Vij said mobile checking vans equipped with all facilities and doctors would be deployed for this purpose. The vans would reach people at their doorsteps and conduct blood, TB, liver, cancer, blood pressure and diabetes tests. This would lead to an early detection of diseases and people can be cured timely. Based on the data gathered, the state government would take a call on the future course of action. A committee of doctors would be constituted to prepare a lay-out plan of different tests.